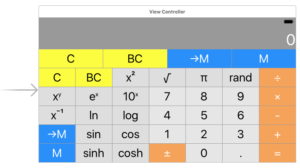 Add two new buttons to your Calculator’s UI: →M and M. Don’t sacrifice any of the required operation buttons from Assignment 1 to add these (though you may add yet more operations buttons if you want). 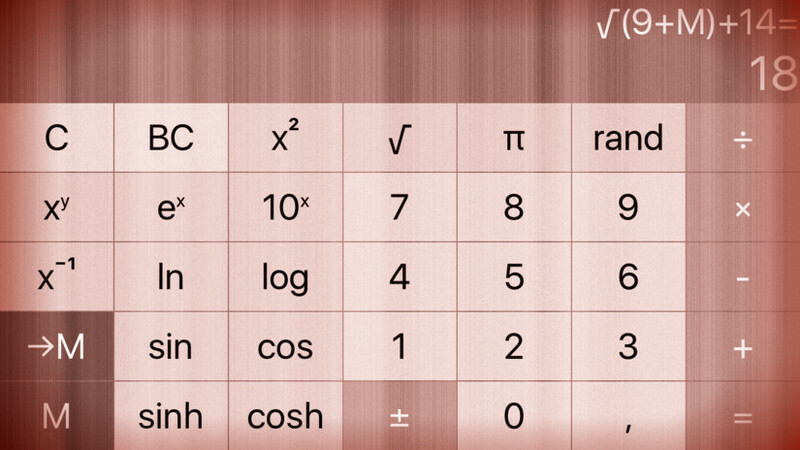 These two buttons will set and get (respectively) a variable in the CalculatorBrain called M.
a. →M calls evaluate in your Model with a Dictionary which has a single entry whose key is M and whose value is the current value of the display, and then updates the display to show the result that comes back from evaluate. Until this button (or the clear button) is pressed again, this same Dictionary should be used every time evaluate is called. b. →M does not perform setOperand. result of calling evaluate in the display. the Model mechanic of variables). 9 + M = √ ⇒ description is √(9+M), display is 3 because M is not set (thus 0.0). The complete code for the assignment #2 task #7 is available on GitHub.